A recent study found that 92% of respondents were anxious about job interviews. The key to overcoming this anxiety is to prepare, prepare, prepare. Our Interview Coaching programs are designed to help you to face your fears and sell yourself as the great candidate we know you are. You have a great résumé, and you keep getting shortlisted for interview, but you can’t seem to close the deal. If the idea of sitting across from an interview panel gives you butterflies, or you are not sure why you keep getting overlooked, it may be time for professional Interview Coaching. Our one to one Interview Coaching program gives you the skills to prepare for each job interview and tips to make sure you stand out from the crowd. We explore the types of questions you may face and help you to formulate answers that will sell you at your best. From what to ask, how to dress and what to bring, to mock interviewing and guidance on how to address the more tricky situations, we ensure you have all the tools to land your next role. Want to learn more? 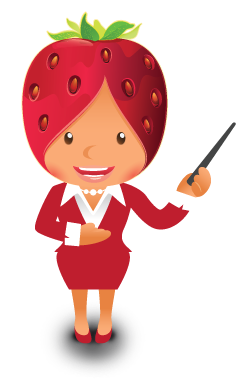 Please don’t hesitate to send us an email info@strawberryseed.com.au or call us on (03) 4216 5200. Navigating job interviews can be a minefield. Being brave during a job interview can be the difference between standing out or bombing out. This one to one Interview Coaching program offers guidance and knowledge personalised for you. If you are interested in learning more about our Interview Coaching program, please email info@strawberryseed.com.au or call (03) 4216 5200. Combine the Interview Coaching Program with the Professional Resume Coaching Program and save $100. Get all the professional help you need to land your next role. Start with Resume Coaching to get your CV ready. Then book your Interview Coaching appointment when you are shortlisted for interview. The discount is applied when you book the second session. For more information on our Resume Coaching Program please visit this page. If you are interested in this package please email info@strawberryseed.com.au or call (03) 4216 5200.